For the Fallen Dreams have always been renowned for their generous use of breakdowns, but this latest offering, "Back Burner", sees the band hell bent on changing face. No longer the focus of the music, the low-end chugging now co-exists with lingering legato melodies and clean vocals in best metalcore fashion with the welcome effect that the music is no longer instantly forgettable. Take opening piece "Say What You Will" for instance: the chorus might not be the most eloquent of musings, but when sung with an archetypical clean voice its lasting value is undeniable. Having switched producer to Tom Denney of A Day to Remember for this one, the source of inspiration for the newfound memorability is hardly a mystery; in fact, probably the best way to describe "Back Burner" is to call it a concoction of Bury Tomorrow, Bury Your Dead and A Day to Remember, with each influence used in varying degrees in each song. But although For the Fallen Dreams have placed great emphasis in organising the songs in such a way as to appear diverse, the album suffers from a distinct lack of variety. 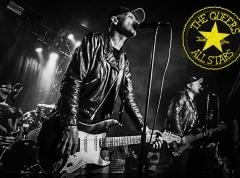 Its songs follow an extremely traditional structure with clear-cut verses and choruses interspersed by crushing breakdowns and subtle refrains. The likes of "Deep Down Inside", "Complicate the Situation" and "My Anthem-Like Symphony" are indisputably catchy, but they could use that additional knack to launch them into a higher dimension; less fixation on heaviness, perhaps, might have done the trick. Indeed, in listening to "Back Burner" it is often difficult to understand why For the Fallen Dreams seem so obsessed with catering to the moshpit rather than appealing to a wider range of audiences. There are hints of ambition in almost every song and just as many disappointments to dampen the impact. 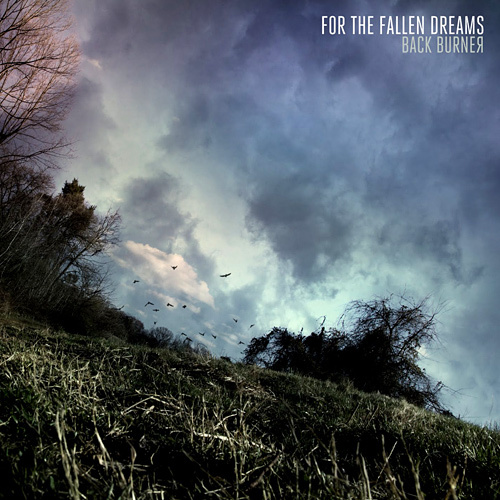 "Back Burner" is crying for more songs in the vein of "The Big Empty" and "Don't Give Up, Don't Give In", both fast, d-beat based melodic songs reminiscent of The Ghost Inside. The former features another leech of a chorus albeit still dabbling in rather juvenile lyrical territory, while the latter calls to arms with a massive gang shout that'll have your blood boiling in no time. But even though the album is characterized by a plethora of solid riffs and hooks, there is no denying that it all starts to sound a little worn out towards the end. It is as though For the Fallen Dreams have been advised on one thing that sells and thought more is more, thus resulting in twelve decent metalcore songs that are sure to provide ample opportunities for moshing and singing along in a live setting, but inspire little excitement on record.